Brand new BMW R 1200 GS Rallye X to tackle Finke Desert Race. BMW Motorrad International GS Trophy Female Team selected after international qualifying event in South Africa. Stephanie Bouisson, France, Amy Harburg, Australia and Morag Campbell, South Africa, will form the first ever female team in Thailand in 2016. Three times Australian Superbike Champion, Glenn Allerton, will join the Penz13.com BMW Racing Team in the Open class of this weekend's round of the FIM World Endurance Championship at Le Mans. It was a sensational return to form for Glenn Allerton of Dynotech Pirelli BMW at Round 3 of the Australasian Superbike Championship at Queensland Raceway. Historic triple with BMW Motorrad: Michael Dunlop also triumphs in the Senior TT on the Isle of Man. Michael Dunlop wins historic Isle of Man TT Superbike race for BMW Motorrad. 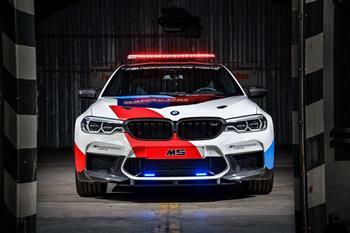 BMW M - Official Car Of MotoGP+óGÇP-ó. MEDIA GUIDE 2014. THOMAS SCHEMERA, DIRECTOR SALES AND MARKETING BMW M GMBH. Glenn Allerton, riding the Dynotech Maxima BMW HP4, has completed a successful weekend in Round 3 of the QBE Australian Superbike Championship held at Queensland Raceway. He finished in 2nd place on the weekend and leads the Championship. Glenn Allerton, riding the NextGen Motorsport Di Candilo Steel City Pirelli BMW HP4, completed a clean sweep in Round 3 of Formula OZ at the FX Championship series at Wakefield Park. Glenn Allerton, riding the Dynotech Maxima BMW HP4, has completed a clean sweep in Round 1 of the QBE Australian Superbike Championship held at Symmons Plains in Tasmania. WSBK wildcard Allerton in the points at Phillip Island. Glenn Allerton, riding the Dynotech Maxima BMW HP4 collected points in both races as a wildcard entry in Round 1 of the World Superbike Championship last weekend. BMW Motorrad World Superbike Hospitality at Phillip Island. Glenn Allerton and the motoridedays.com, Pirelli, BMW team has dominated round 5 of the FX series held at Winton raceway on October 6-7.